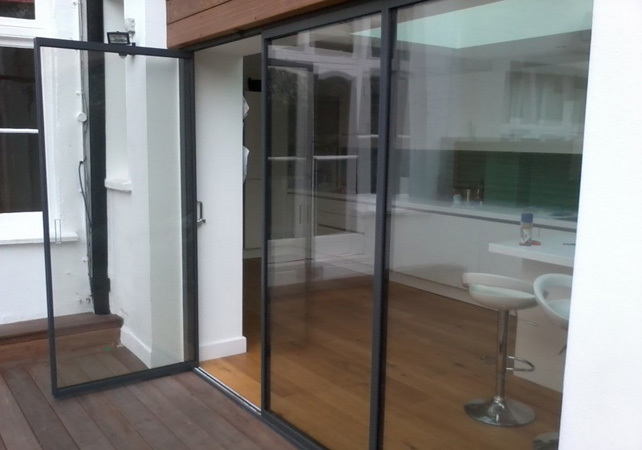 Frameless glass doors provide comfort, thermal efficiency, and an ideal solution for an internal or external installation. 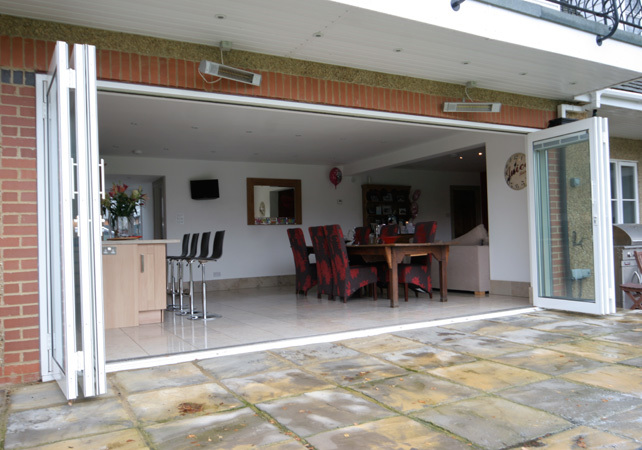 Customers have used them as patio doors or room dividers, built to any size needed. CK Doors also offers over 300 different colours, maximizing the customizability of any door product. Our doors are suited for commercial use as well. 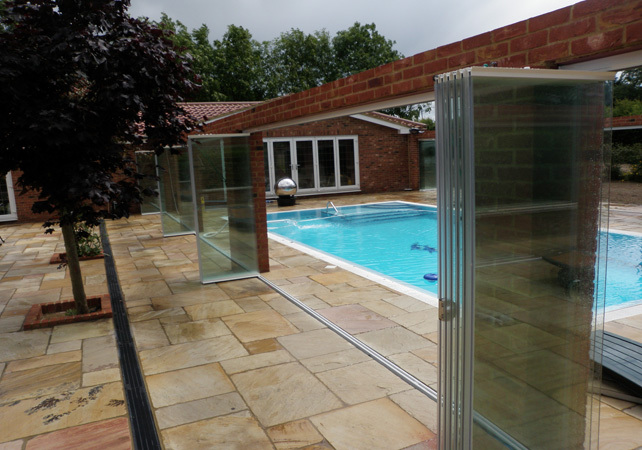 Glass bi-folding doors with a frameless design have been developed and manufactured by our own teams. These are aesthetically pleasing in residential and commercial settings and can be fitted with a highly functional opening mechanism. 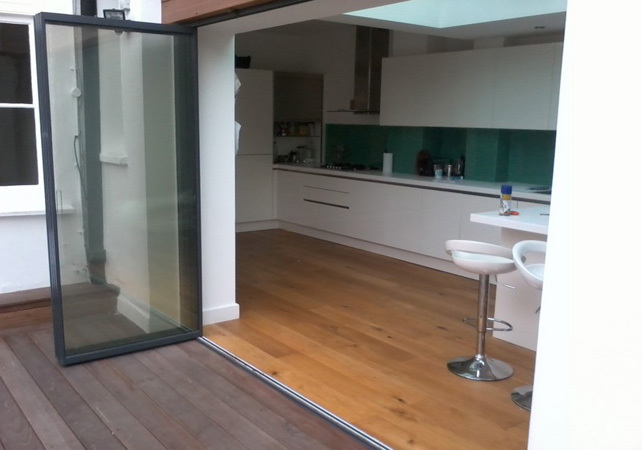 Plus, their frameless glass curtain design takes up little space. The sliding glass doors have several unique and innovative characteristics. First, the slim frames provide for clear views. 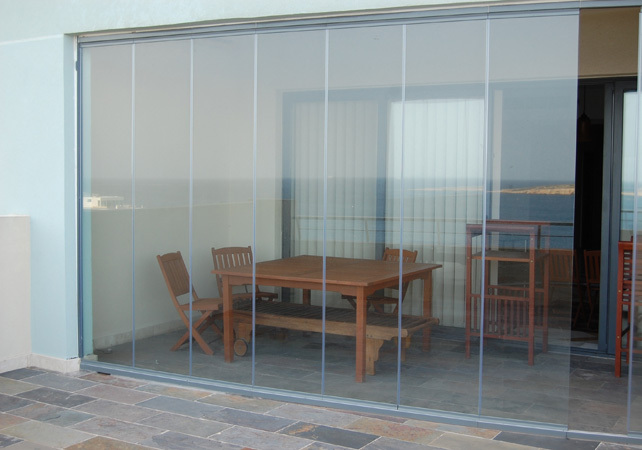 A homeowner with a garden or patio, or a company with a scenic view, can have a frameless glass door installed and have much more enjoyment with a pleasant outdoor view. Easy operation, without thick aluminium frames and a large number of moving parts that can break. Frameless glass doors are much more reliable. Glazing. Our bifolding doors can be single-glazed, keeping heat in a room, noise out of another, and contributing to cost savings on heating. They are also fully retractable so gatherings of family and friends can be more enjoyable, or the house can simply be opened up. Frosted glass and integral blinds can be ordered for privacy. 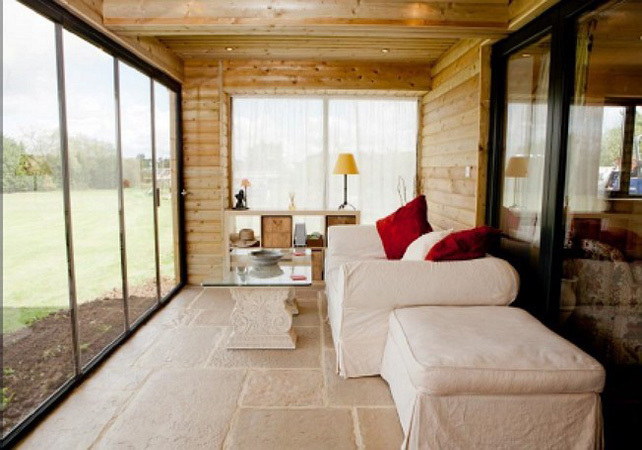 Double-glazed units are similar in design, but are more suited for exposure to the outdoor elements. 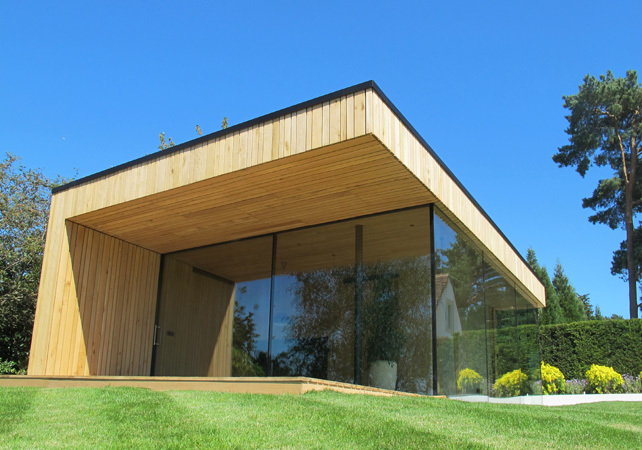 The meet and exceed UK building regulations. A weather protection system, created within the past few years, handles a wide temperature range. 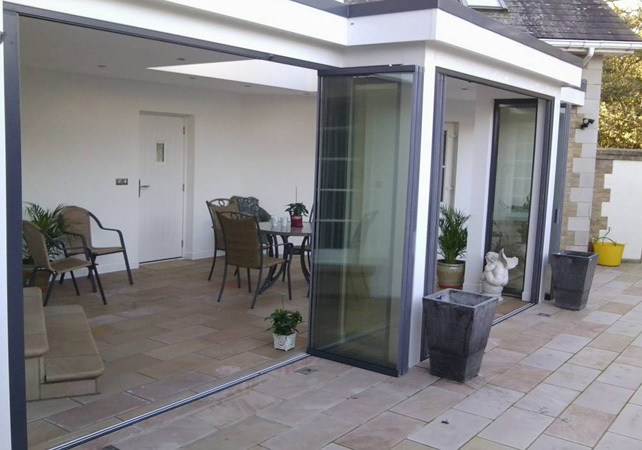 The double glazed doors can therefore be installed in coastal properties and a range of environments. Also consider the broken aluminium design, thermal efficiency, and U-Value rating. The slide-fold design and top and bottom rail construction. The entire fixture is under warranty and tested, so reliability is guaranteed.